There is a newer version. 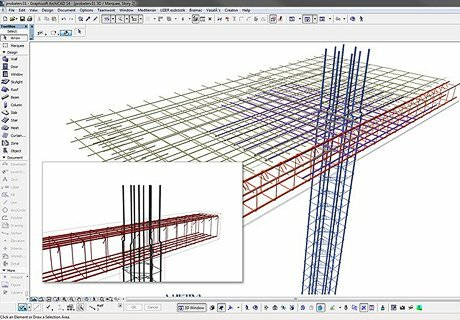 This solution helps designers to draw documents and lists the necessary reinforcement for their buildings in ArchiCAD. The application provides tools to define all 2D drawings as well as complete 3D models. 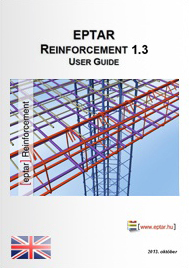 Our simple solution contains a library of reinforcement objects and an Add-on. They provide great freedom in defining constructions and also help to specify complex objects. What?s more, Eptar Reinforcement checks the rebar ID numbering and corrects it if necessary. 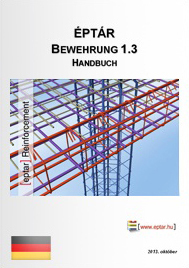 With our tool, users can simply calculate the necessary amount of rebars. Iron list is available on the floor plan just as the interactive schedule. The Eptar Reinforcement solution runs in Demo mode unless you buy and sign up for the product. The solution works only in Demo mode in ArchiCAD EDUCATION version. Demo mode functions as the full version but the amount of rebars, used to define complex elements and make listing, is limited. Attention! The full version operates with legal ArchiCAD versions only. 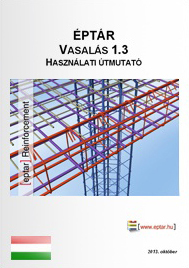 The full version of Reinforcement does not operate with any other ArchiCAD versions (Demo, Educational, cracked). Are you interested in becoming an Eptar Partner? Éptár Kft. develops and publishes BIM models and product libraries for CAD software with 15 years of experience. Prices and all information on our site are for information purposes only. All rights reserved. © 2019 ÉPTÁR Kft.